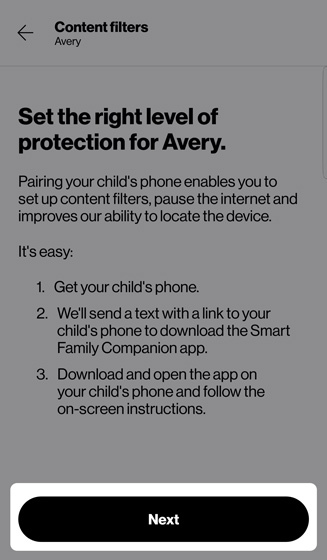 have access to both the parent and child devices. 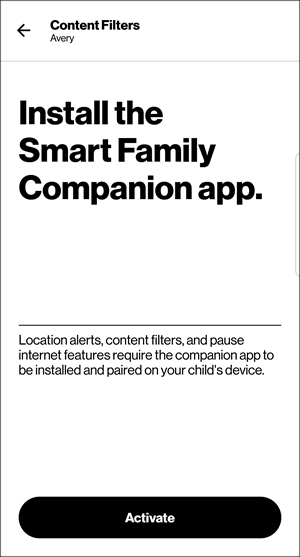 ensure that the Smart Family app is installed on the parent device. 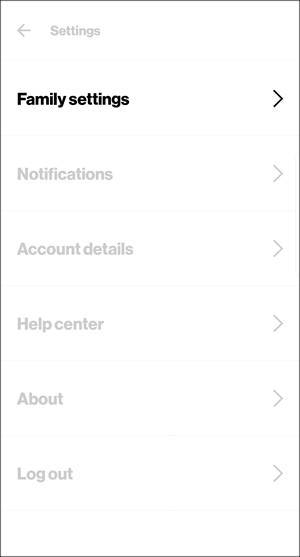 sign in to the app using a My Verizon user ID or mobile number that has Account Owner or Manager access privileges. 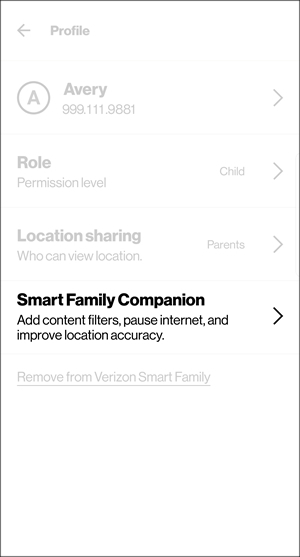 From the Smart Family parent app, tap the Settings icon (upper-right). 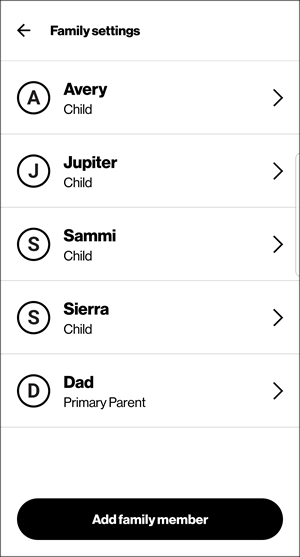 Select the desired family member or mobile number. Review the info then tap Activate (at the bottom). 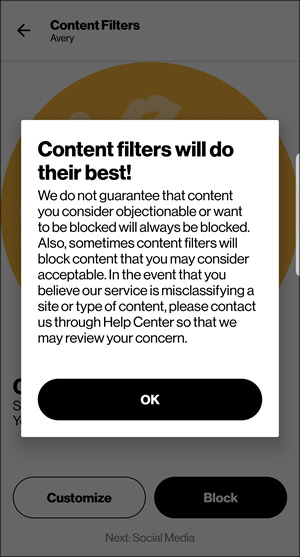 If not available, existing content filters are already in place. 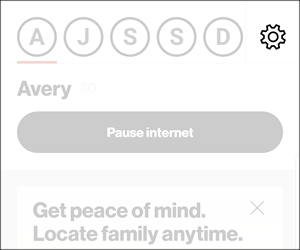 Tap Pair Phone (lower-right) then skip to step 12.
Review the info then tap Next. 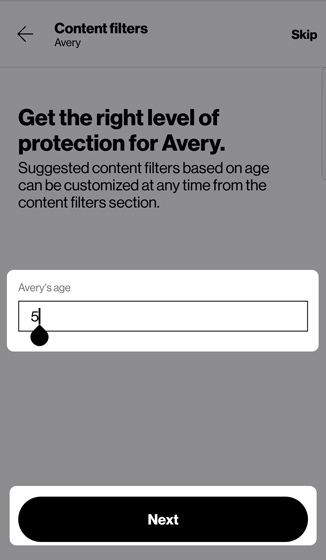 Enter your child's age then tap Next. If presented, review the disclaimer then tap OK to continue. The screens and options presented vary depending upon the child's age (e.g., 11 and under, 12 to 16, 17 and over). 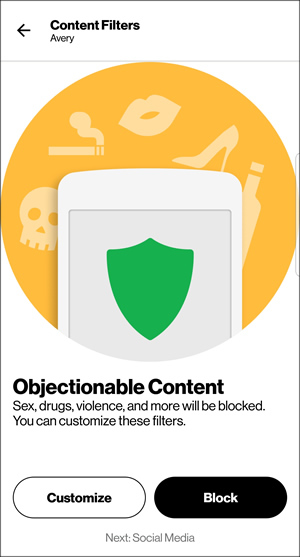 If customizing blocked content, tap the switch(es) to turn on or off then tap Save. The image below is an example. The options presented may vary. From the prompt, tap Send. 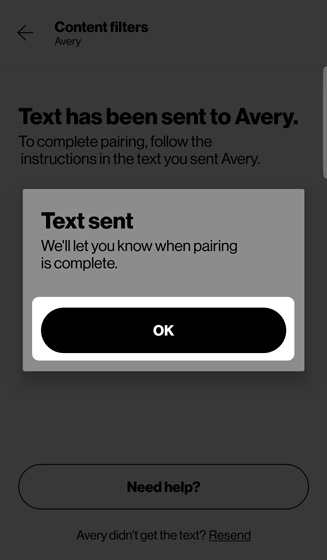 Instructions for pairing are sent to the child device. 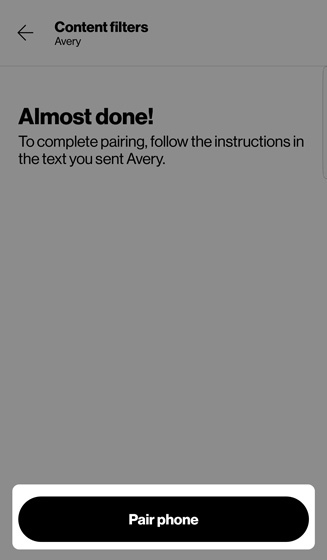 Using the child device, follow the instructions received via text to complete pairing. 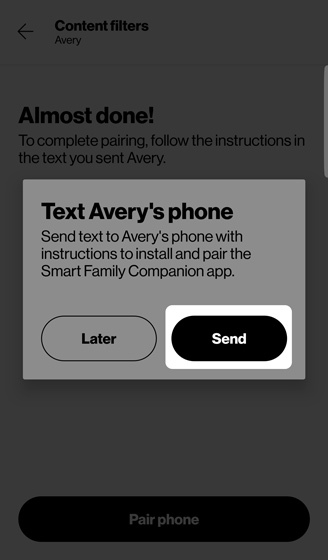 Using the parent device, tap OK to confirm.